The first session of Camp Rising Sun 2018 has quickly come to an end. As many campers described, the days felt long, but the weeks went by so fast. Families arrived to Camp this morning for Visitor Day activities, which were planned by the campers. After lunch, campers departed with their host families until their departure flights home. As the campers said their heartfelt goodbyes, they were reminded that this is a “see-you-later,” and that they are now “Campers for Life” as members of our worldwide alumni community. 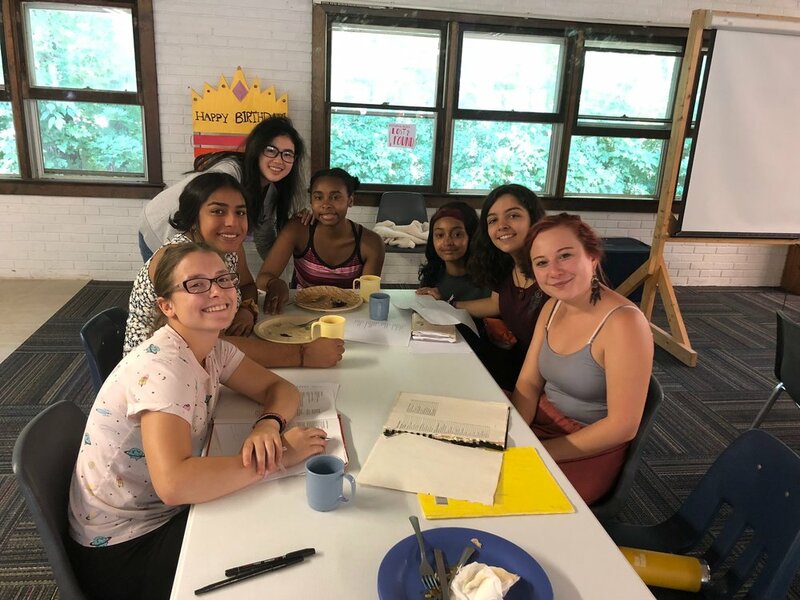 In the last camper blog of the first camp session, our blog editors feature several counselor interviews and camper reflections on cultural meals, vigils, and the general camp experience. Justin Shin works as an office manager at CRS. This involves overseeing purchases and budget tracking. Justin first came to camp in 2010, where he represented New Jersey. He has worked as a CRS counselor every summer since 2014. Just last year, Justin graduated from Bard college, where he majored in Math and Philosophy. After camp, he is heading south to University of Texas, Austin, for graduate school, and will work as a Teacher’s Assistant. How has CRS remained an important aspect of your life? Many of the Instructions and Evening Programs you lead challenge campers as critical thinkers. How else do you want campers to grow as intellectuals? Did CRS influence the career you wanted to pursue in the future? If so, how? Add punctuation to these strings of words to form complete meaningful sentences. Alice while Bob had had had had had had had had had had had a better effect on the teacher. If police police police police police who police police police police police police police police police. *Have someone who knows German help you with this one. * Wenn hinter fliegen fliegen fliegen fliegen fliegen fliegen nach. Luisa Rivera was born in the U.S., and grew up in Ecuador. In Ecuador, she got her Bachelor’s degree in General Psychology at Universidad Internacional del Ecuador. She moved to Spain to obtain her Master’s degree in Professional Psychology at Universidad Camilo José Cela. Luisa has moved back to the U.S. and is working on her psychology license. This is Luisa’s second year at CRS as Assistant Chef. She is notorious for her delicious baking creations that the entire camp loves. How did you find out about Camp Rising Sun? “One of my best friends from high school was both a camper and counselor at CRS. She introduced me to camp, and I immediately loved the philosophy of it. How did you first learn how to bake and why has baking maintained a significant role in your life? What does your typical day at CRS look like? Does helping campers make their cultural meals renew your appreciation of cooking? How has being a member of CRS lead you to grow as an individual? We are in the 4th week of camp, which is also the last one. I don’t feel like we’ve been here for 25 days, everything went by so fast. First week was awesome, everything was new and I was so excited to try everything, even though the weather was rather cold. Second week wasn’t as good. I didn’t want to do anything, I was tired all the time. Adding on to that, the humidity was really high, something I’m not used to. It exhausted me. The third week was amazing. We did canoeing, we threw a pool party, we went on the camping trips. I had so much fun! This week is going good so far. I can’t wait to give my instruction on Kurdistan’s culture. Most of the campers don’t know about Kurds and Kurdistan. I’m proud that I’m CRS’ first Kurd camper. We only have 3 days left. I’m excited to see my friends and family and eat my cultural food. However, I love being here, away from the outside world, in nature. Camp Rising Sun offers each member the chance to prepare a cultural meal of their choice to be enjoyed by the community. Creating a cultural meal involves working in the kitchen (with the help of the lovely staff) and combining ingredients to make a dish that represents an aspect of a camper’s life such as their religion, country or background. The final product of a cultural meal is indescribably delicious. Most campers would say that making it is just as satisfying as the taste. First, a camper must submit a recipe to the kitchen. After being accepted, the kitchen will determine which day is ideal for cooking. It can be difficult to schedule cultural meals, because both dietary restrictions and the unique ingredients that must be ordered in advance may pose challenges. Despite this, the kitchen ensures that each camper is able to cook if desired. Creating a cultural meal can take two to three hours. During this time, the camper will gather their materials, create a plan and channel their inner Gordon Ramsay as classic rock plays on the speakers. Once the cultural meal is finished, the camper will present it to the rest of the camp. The meals are so delicious that, more often than not, the Dining Hall transforms into a hostile battleground in which campers fight each other for seconds. 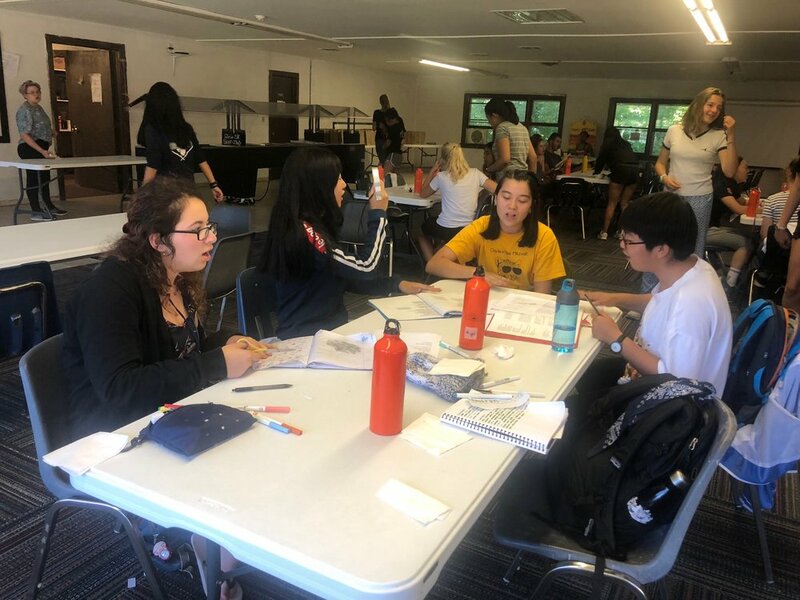 While half of the camp has indulged in rich cultural meals, many CRS members have participated in a week-long vegan challenge. 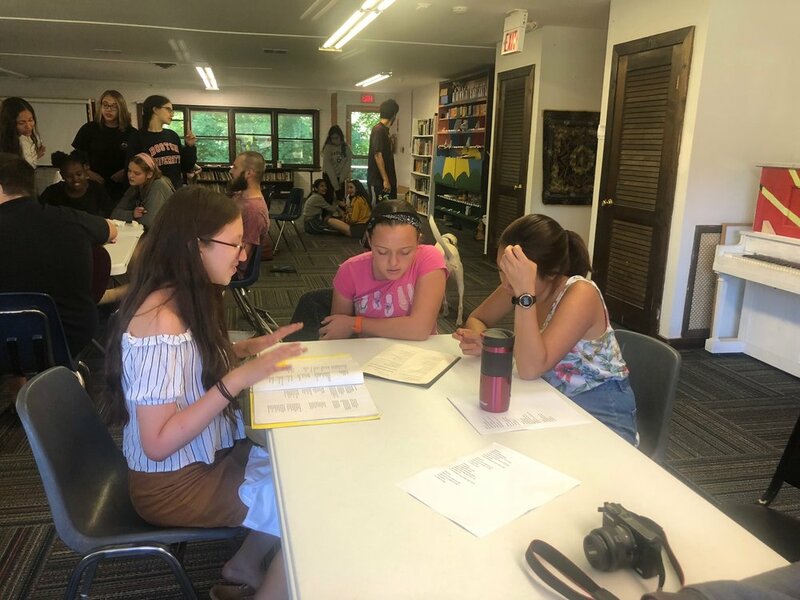 Since last Wednesday, thirty counselors and campers have refrained from eating or consuming animal products.